Khun Arunee Pongpreecha presenting Knowledge poster to Assistant Director of Nang Rong School (Khun Arunee is go along this trip with us with a smile and joyful). Discussing at Nang Rong School, Buriram Province. Group photo at Si-Da Vitthaya School. 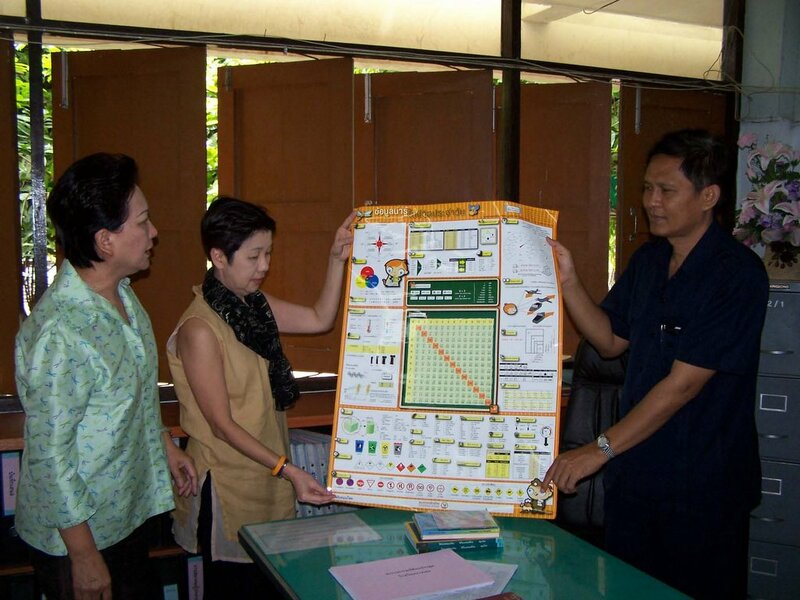 Khun Srisooda presenting TISCO Knowledge poster to Director of Si-Da Vitthaya School. 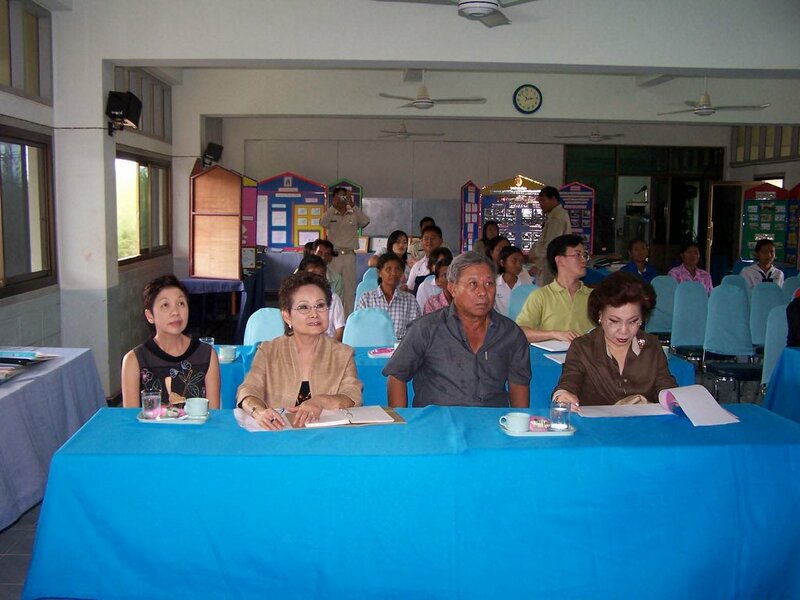 Visit and discussing at Si-da Vitthaya School, Nakhonrachasima Province. 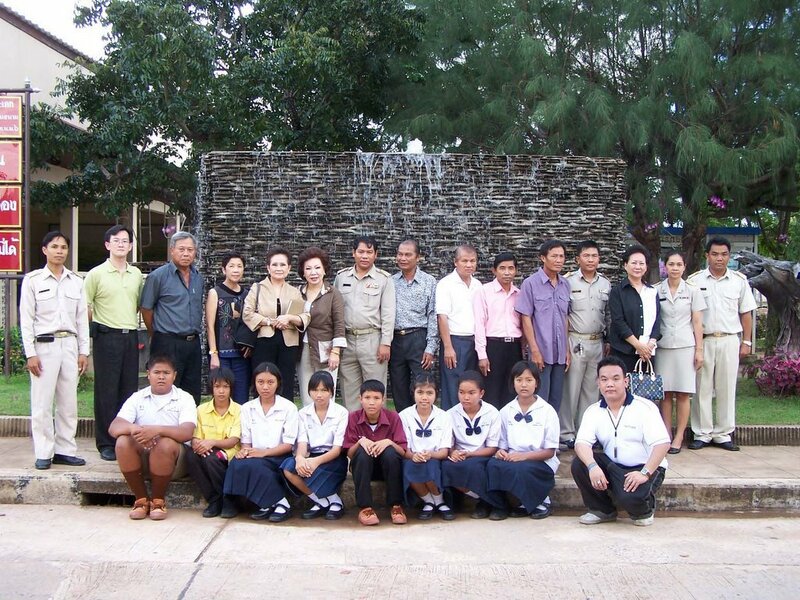 Group photo at Baan Tong Lang Noi School. Khun Vannee presenting set of stationery to the recipient at Baan Tong Lang Noi School. Khun Srisooda presenting TISCO Knowledge Poster to The Director of Baan Tong Lang Noi School. Scholarship discussing at Baan Tong Lang Noi School, Nakhonrachasima Province.